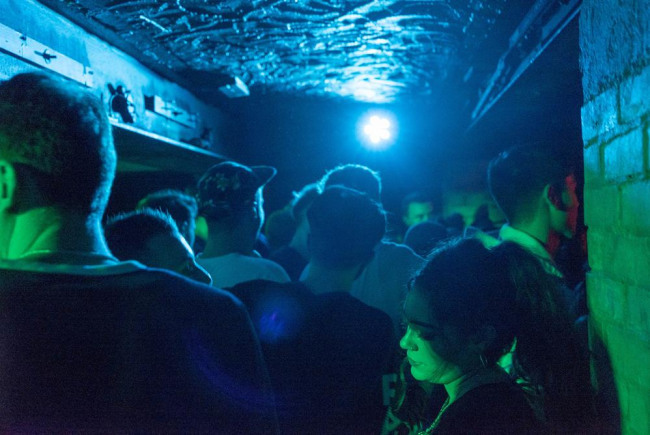 House of Hi-Fi is a multi-room, immersive dance music event. Situated in a disused building, where a mash-up of eclectic musical genres meets the creativity of correlating, immersive visual art. Each room hosts a visual and audio representation of dance music from the pivotal point of 1989-1992 and beyond. Featuring genres such as Jungle, Acid House, Garage, Drum & Bass and Techno. House of Hi-Fi celebrates the original scene of underground music, the use of high fidelity vinyl, independent record stores and up and coming musicians & visual artists. All situated in a unique and authentic venue in support of Record Store Day 2018. Bournemouth is growing and flourishing as a creative and artistic cultural hub. We want to continue to help it grow by supporting independent artists, musicians and record stores to encourage underground talent instead of commercially funded corporations. We want to bring people together to experience original art, music and culture whilst supporting the community and local businesses, especially independent record stores. We are a group of third year Creative Events Management students at Arts University Bournemouth. We all have a passion for live music, events, art, festivals and culture. It has been a dream of ours to create a project which combines our passion and experience to support local and up and coming musicians, artists and businesses. Project Delivery Manager: Kate Barnes The Project Delivery Manager takes legal responsibility for receiving and spending the funds raised and ensuring the project is delivered.